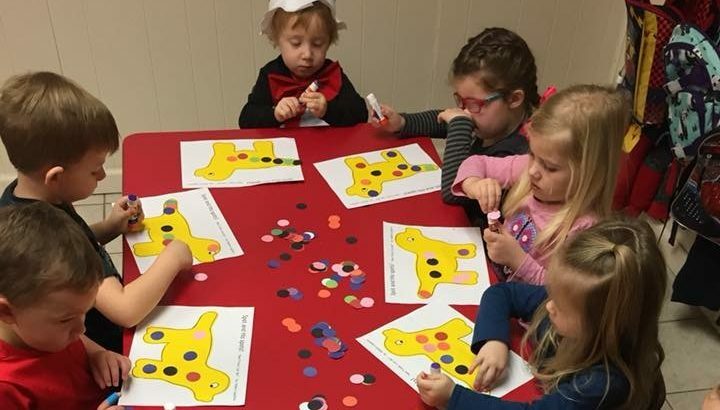 Church Hill First UMC Preschool serves pre-kindergarten children, ages three and four, with the purpose of helping them develop in Christian growth- physically spiritually, intellectually, and socially. The program is structured to teach Bible along with developmentally appropriate academics. 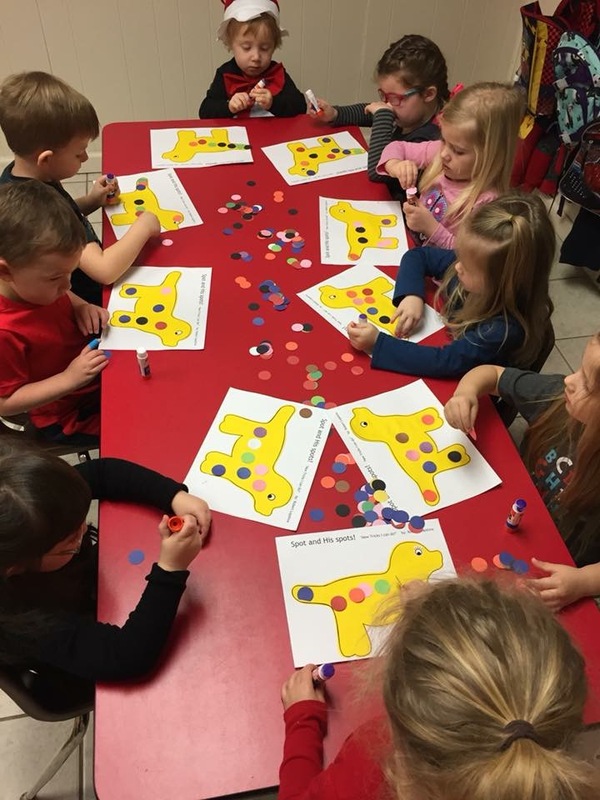 The preschool is governed by a board of directors appointed by members of First United Methodist Church. Preschool phone number is 357-1094 or 357-5564. Would you like to register your child for our Preschool program? Simply click the button below to download our packet. Develop an ability to communicate effectively with teachers and classmates, to hear and imitate sounds used to form words; and to understand and follow simple instructions. Develop a growing concept of the relationship of number, time, space and form. Have opportunities for observing and understanding the basic phenomena of weather and seasonal change. Be introduced to the growth cycle of plants and animals. Develop an awareness of music, an appreciation of sound and rhythm, and an ability to participate in some form of musical expression. Learn more about self and others through informal role play. Have opportunities for using art and craft materials and develop an increasing appreciation of form, color and texture. Understand that God has something to say to each person in every situation that will ever be encountered. Learn how to understand what God says to each person through knowledge of the Bible, especially in relation to Jesus Christ, and through the work of the Holy Spirit in self and others. Become aware that each person is worthy of God’s love. Develop understandings, attitudes and skills appropriate for the child’s particular age.